Written By: Walter Wangerin Jr.
Narrated By: Walter Wangerin Jr., Walter C. Kaiser Jr. Here is the story of the Bible as you've never heard it before -- told with exciting details and passionate energy. Narrated by master storyteller Walter Wangerin, Jr. The Book of God dramatizes biblical events, making the men and women of this ancient book come alive in vivid detail and dialogue. 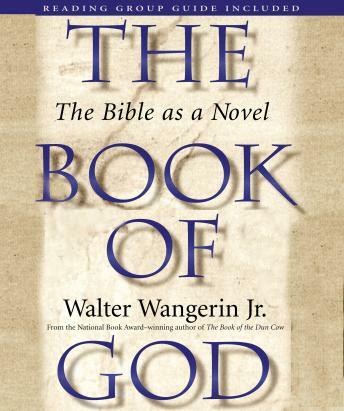 Wangerin recreates the high drama, low comedy, gentle humor, and awesome holiness of the biblical narrative, revealing the humanity and holiness of the people whose stories are told in the pages of Scripture. Imaginative yet meticulously researched, The Book of God is a sweeping history that stretches across thousands of years and hundreds of lives, in cultures foreign and yet familiar in their common humanity. The Book of God is the magnum opus of one of the most respected and loved writers of our time. It is a timeless masterpiece that will fire the imagination and nurture the spirit. Excellent novel of the Bible.